Julia Rowny and Jacqueline LaBelle-Young. (photo: Peter Mahakian). Twice a year, at Back to School Bash in September and Reunion in June, Hilltoppers gather to cheer on Hopkins’ very own Teacher Band. 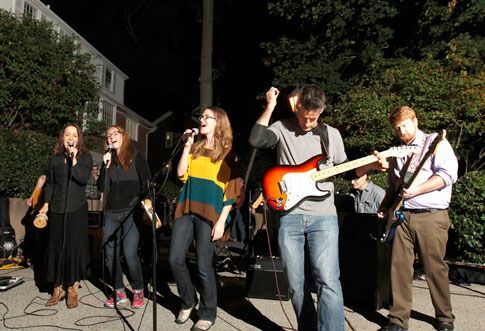 !e group combines vocal and instrumental talents, functions as a self-proclaimed garage band, and features nine teachers from nearly every department at Hopkins. 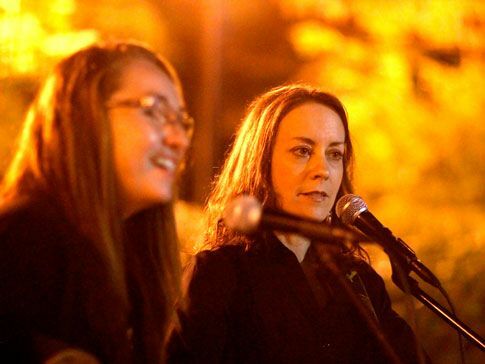 Over the next few years, Stewart began playing with more teachers, and eventually the group became what the aptly named Teacher Band is today. Current members of the band are Ian Melchinger, Joshua Gleason, Dan Gries, Joshua Young, Jacqueline LaBelle-Young, Julia Rowny, Ian Guthrie, Dan Gries, and Erika Schroth.